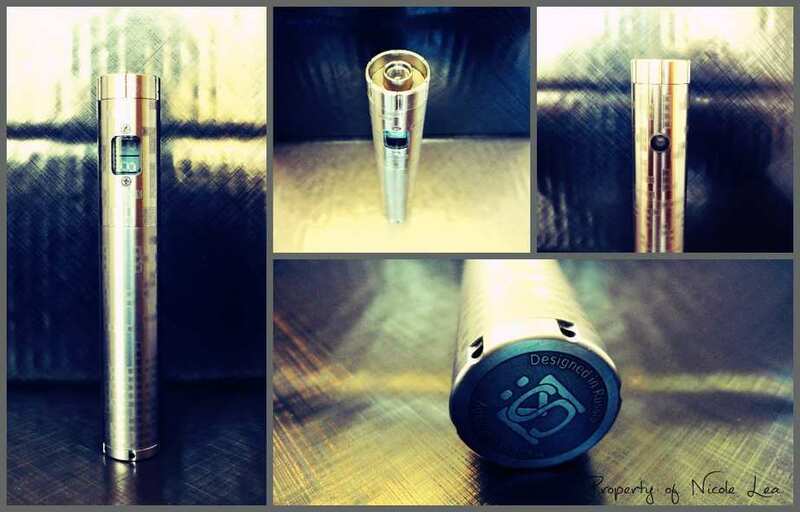 The authentic Semovar/SM-Nivel V3 Tetris Edition APV made by Svoemesto (creator of the Kayfun), was created in honor of the 30 year anniversary of the Russian video game Tetris. This Tetris Edition of the SM-Nivel V3 was released as a full extended kit, while the original SM-Nivel is a standard 18650 only kit. The interesting aspect of the Tetris Edition of the Semovar is that it was never made available for sale or purchase within the United States. The prior lack of availability of the Tetris Edition device made the clone all the more intriguing to me when I found out that it was in production. The 1:1 Semovar V3 Tetris Edition clone featured in this review is made by Shenzhen Limwell Industrial, who also provided the 1:1 clone for the purpose of review. Being a 1:1 clone the Semovar V3 Tetris Edition comes packaging which is identical to the genuine article, right down to the included user manual written in German. I have always said that if I were to ever drop $200 on a one button style APV, that I would choose the Semovar over the Provari, so based on this alone I was rather excited about receiving and reviewing this device. My initial impression of this clone out of the box was “it’s alright”. 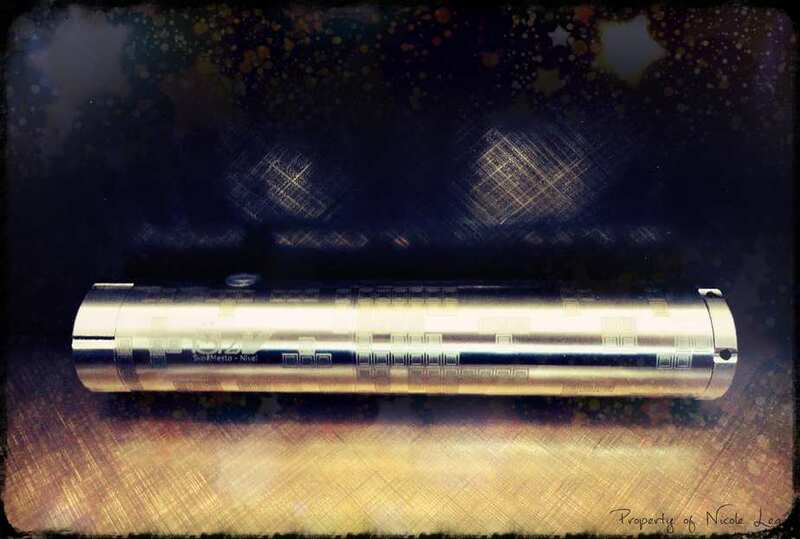 Having spoken to both Psmoke and Limwell (sister brands) at length about this device prior to receiving it, somehow I had expected a little bit more “wow”. Especially since both had made such a big deal about the body detailing work that gone into producing this clone. The Semovar V3 arrives already configured in 18650 mode, and it is a solid feeling device, definitely not cheaply made. However, the Tetris puzzle body detailing reads a bit flat to me. For the most part the body detailing is well done, and there aren’t any apparent flaws, scratches, or irregularities on the body, but the Tetris pattern itself doesn’t “pop” as much as I had thought it would. However, I do very much like the detailing on the bottom cap, which is probably my favorite aesthetic aspect of the device. 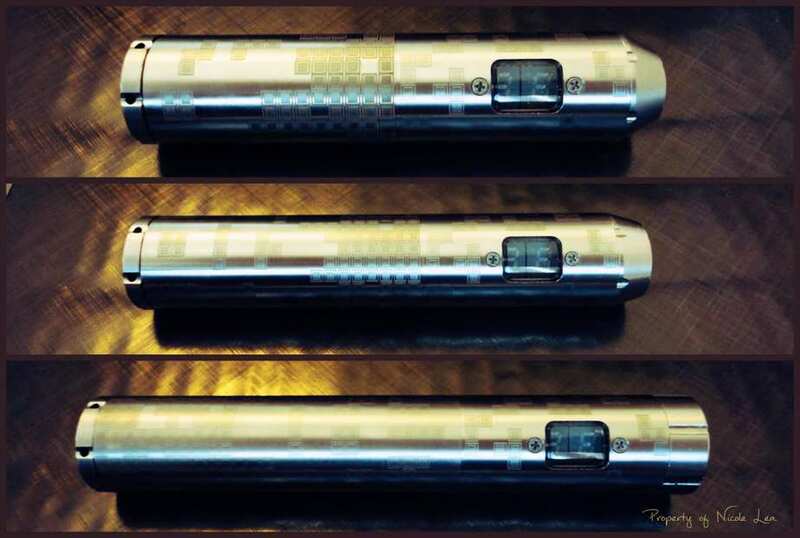 As previously mentioned the Tetris Edition clone comes standard as a full extended kit which includes three tubes for all 18XXX series batteries, and three top caps of different diameters. Of all the threaded parts, I find that the battery tubes and bottom cap have the smoothest threading. The threads on the top caps are not crunchy, but are not buttery smooth either. Having all three battery tubes and top caps does add value to this set, most especially since these are sold as after market extras on authentic Semovar V3. All three top caps are milled from stainless steel, and for the most part are well done. As I said, the top caps do not have a buttery smooth feeling when screwed on and off, which is surprising considering the thread pitch appears to be .5mm. The top caps are sized at 22mm, 18mm, and 14mm. 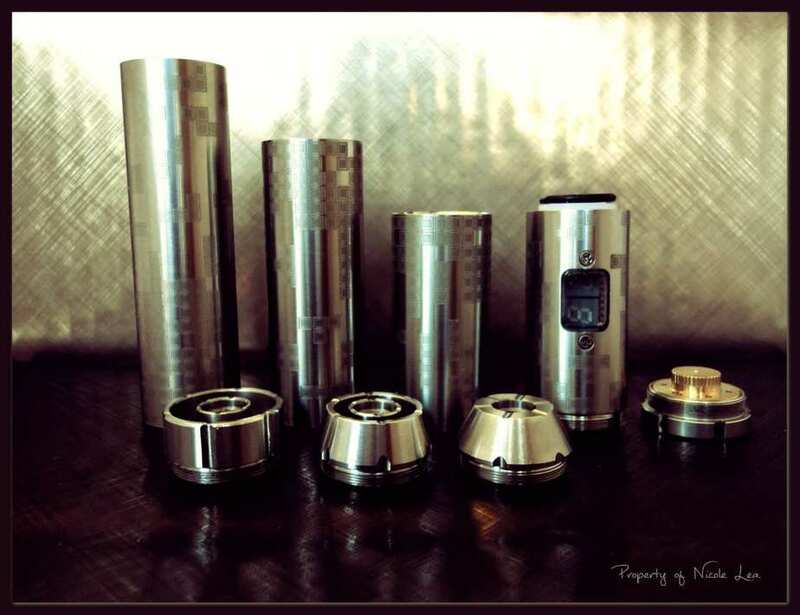 So there is the ability to pair this device with several different types of atomizers, which is especially nice for atomizers like the Kayfun Mini. 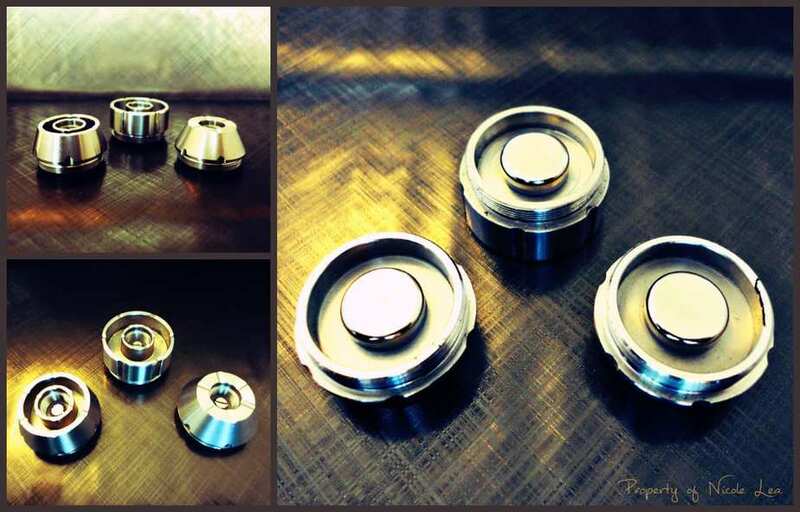 All tops caps are milled with air channels across the top, the deepest and widest of which are found on the 14mm cap. All three caps have silver plated adjustable contacts, which require a flat head screw driver to adjust. The bottom cap of this device is actually adjustable, which is something that I did not realize until after I shot these photos for review. The gold plated top section is removable, and it threads in and out of the base of the cap, adjusting in or out for battery fitment. When the gold plated top section of the cap is removed there is a stiff silver spring underneath. 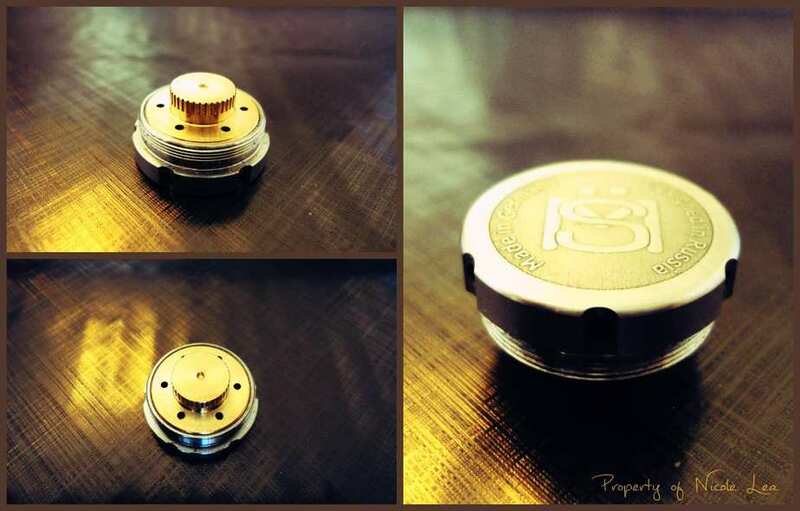 The bottom cap also has adequate venting drilled into the top of the gold section which leads out to 6 2mm air holes drilled into the base of the cap. This is a good idea in theory however, many of us have long since realized that batteries usually vent from the top in the case of a thermal runaway. Even as my bottom cap threads on and off more smoothly than the top caps, it was surprisingly dirty upon receipt, which can be seen if you look closely at the photos below. The main control body of this device I feel is well made. The display screen is installed properly, laying flush with body without any irregularities. I do struggle with understanding the necessity of the flat head screws above and below the display, which is a criticism of the original device, and not the clone. The fire/function button is back lit by an LED which does flash red while firing. The tactile feel of the button is clicky and comfortable to use, and it is a responsive button which does not rattle or shake about while in use. I have spoken to an owner of 3 Svoemesto Semovar’s, who also happened to buy the clone, and he reports that the button feels just like the authentic. At the top/center of the control head there is a spring load contact that makes contact with the top cap. I am not sure as whether the black o ring is meant to stay on the control, or the top cap. Whichever it is, this black o ring usually comes off when I am changing top cap and I do find that annoying. The battery contact is silver plated and installed at the center of a delrin insulator. The contact does appear to be slightly off center however, it is nothing that has affected battery contact or performance. It was a little frustrating to receive a user manual that is written completely in German however, the original Semovar V3 user manual pdf is available for download on the internet. Using a one button menu system does take some getting used to however, ultimately it was not as bad as I thought it might be. Within minutes of using the menu I was able to get a feel for it, even as it may take a little while to remember how many clicks correspond to which function. The most important thing to remember is the difference between the offline menu functions, and the online menu functions. It is from the offline menu that you would select/change from variable wattage/power mode, or variable voltage mode. And it is from the online menu that you would adjust wattage or voltage up and down. While I will not go over the long list functions in its entirety, I will cover the basics in brief. Once I got used to the menu system, I actually didn’t mind it at all. I can certainly appreciate the more streamlined appearance on the body that a one button system can offer. But it does take some time to memorize all of the clicks and corresponding functions, and unless you use this device every day I can totally see someone needing to break out the user manual every time they go to use this device. The cloned Nivel V3 chip used is this device does use a flat DC signal output, and based on the voltage output tests that I have done it is very accurate. Overall Limwell did a good job at cloning the Nivel chip, right down to being able to replicate all of the menu functions to a T. However, there is one minor issue that I have had with this device, and that is its inaccurate reading of the batteries charge level. When a battery is first installed the chip will read it as full however, within an hour or so of use the battery life indicator will appear as though the battery is almost empty. The first time that this happened I pulled the battery and put it on my Nitecore D4 Dichcharger and the battery was still at 3.83v, which is far from empty. If I reinstall the same battery, the initial battery level reading will be accurate again. Based on the sum total of feedback that I have read about this device, it appears to be an across the board glitch with the chip. 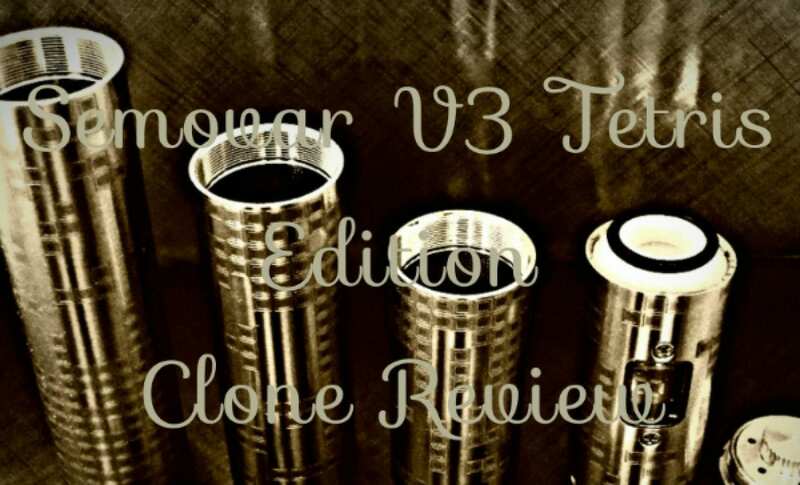 With that considered, I have not had any other issues with the Semovar V3 clone. This device does have a 15W maximum, and a 6 volt maximum that is further limited by a 3.5A output max. 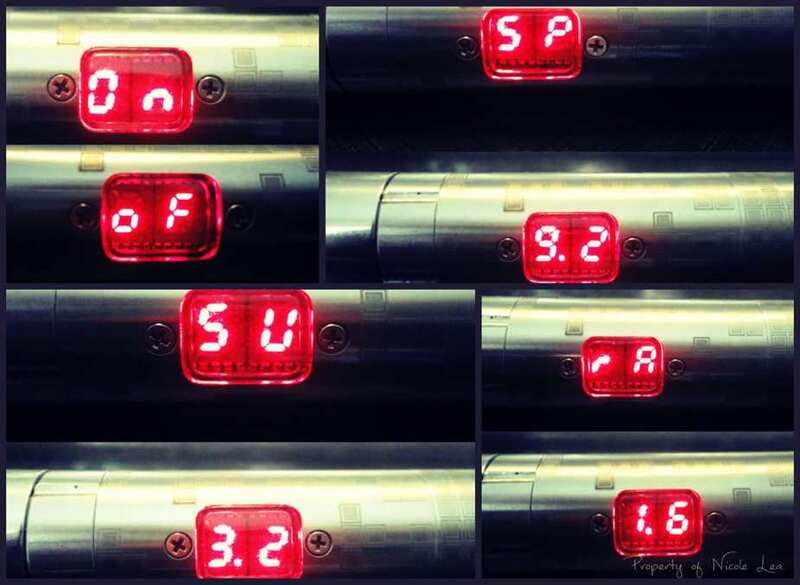 What this means is that you will not be able to use the 6 volt maximum at every level of resistance, because the device will not allow you to go beyond a 3.5A draw. 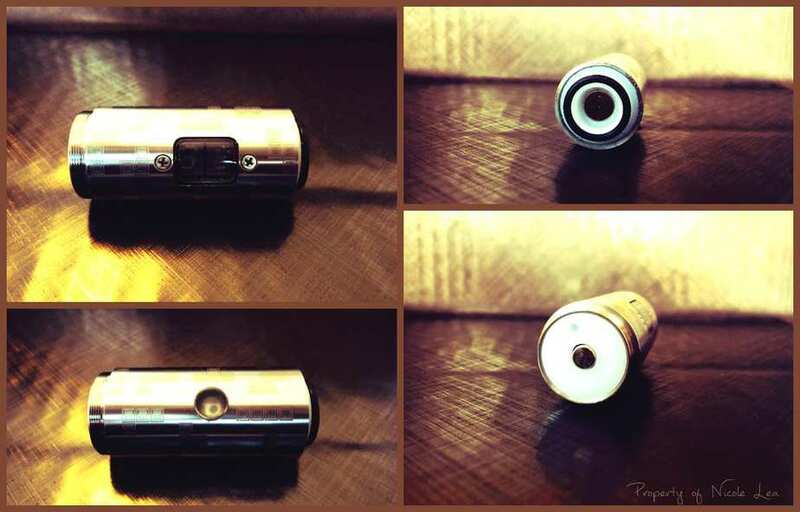 For example, when using a 1.5ohm atomizer this device would not allow me to set it beyond 4.9v. I must also add that 15W on this device does not feel the same as the 15W that I get on my DNA 30 devices. The vape that I get from the Semovar V3 clone is mellow by comparison, it does not have the oomph. I think that this has to do with the 3.5A limitation of the Semovar clone, which again is not a fault of the clone, but the original. You will be hard pressed to get a burnt hit with this device, and which is not such a bad thing. That all being said, and the battery life indicator issue aside, I was able to use this device without any major issues with all atomizers that I installed to it. Limwell has begun to cultivate a solid reputation for their more than ordinary 1:1 replications such as the Kato Square Box, Gi2 clone, and most recently the Variant clone. With a few more dottings of i’s and the crossing of T’s I feel that Limwell/Psmoke has the potential to be one of the best clone manufacturer in the market at the moment. Being a fan of the SM Kayfun RBA both in form and function, the Semovar V3 clone is definitely one that I wanted to have. However, being a user of more advanced devices this clone did leave a little bit to be desired for me. 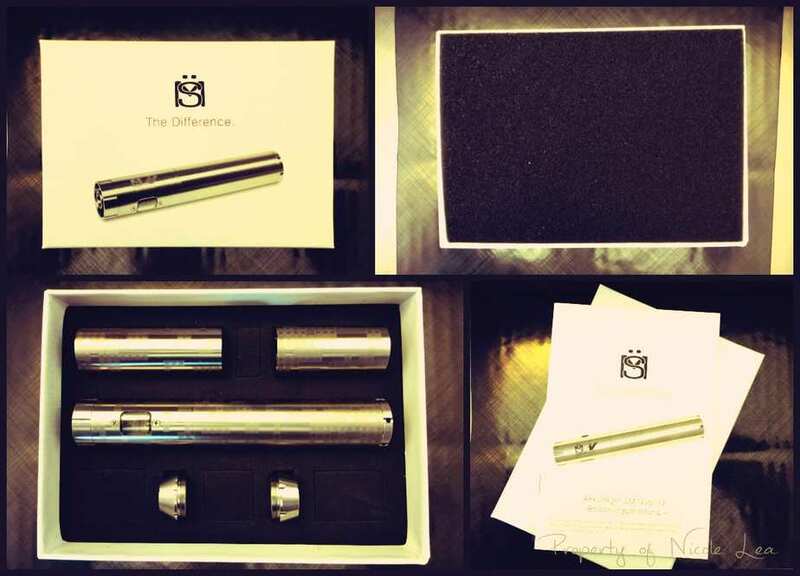 With regard to this device I find it to be most suitable for new vapers, first time APV users,or anyone who loves the Svoemesto style. I would have much preferred to have had the Semovar V3 clone instead of the Vamo V2 as my first vv/vw device, and had this device been available back during that time I am certain that I would have loved it. At this stage in my game however, the Semovar doesn’t provide the same, or more than what I have already grown accustomed to in terms of power and performance. But again, I do find it to be a solid and adequate choice for a first time APV user. Well done Nikkita6, good job! Going back through the review archive I came across this one. I have always wanted to own a Semovar, but could never justify the price for the original. I am glad to see that there is a very good clone out there and maybe someday I will pick one of these up, if for no other reason than to add it to my collection. It does look pretty cool with the Tetris pattern too, now if it were only a more advanced chipset (40+ watts, TP, etc.). Excellent review!